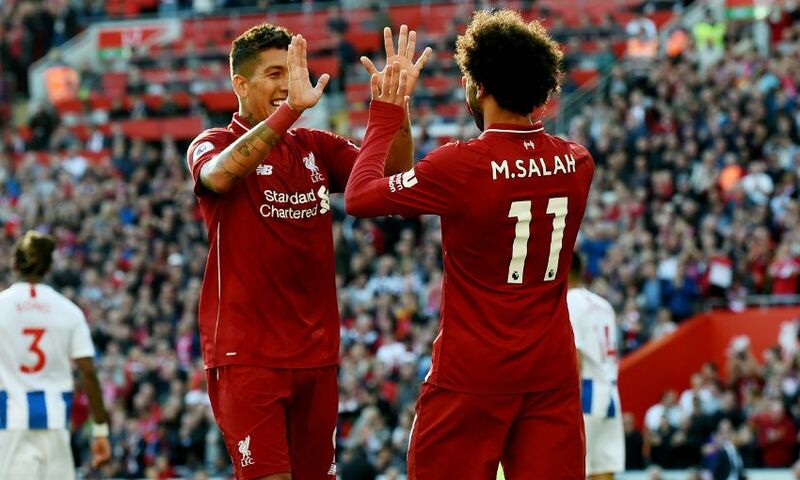 Mohamed Salah’s first-half goal proved the difference as Liverpool maintained their 100 per cent start to the season with a 1-0 victory over Brighton & Hove Albion at Anfield. The No.11 struck midway through the opening period to put the Reds in front – and that’s the way it remained in a hard-fought encounter with Chris Hughton’s side. 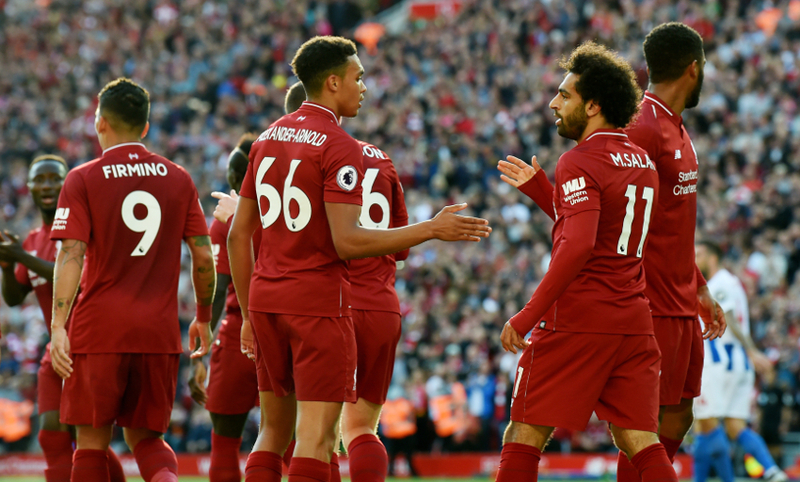 Liverpool elected to field the same line-up for the third successive game – and also retain the same substitutes’ bench as they did at Crystal Palace on Monday night. It’s the first time since May 2017 the Reds have decided to stick with the same starting XI for three consecutive matches. On that occasion, they named that selection four times in a row versus West Bromwich Albion, Palace, Watford and Southampton. So, Salah opened the scoring at Anfield after 22 minutes and maintained his outstanding record on home turf. The Egyptian King has now netted 29 times in as many appearances for the Reds in L4, with 21 of them coming in 21 Premier League outings. Overall, since the start of last season, Salah has been directly involved in 45 top-flight strikes (34 goals, 11 assists) – more than any other player. Although we were afforded something of a let-off when Anthony Knockaert clipped narrowly wide three minutes after the re-start and also needed a stunning save from Alisson Becker to deny Pascal Gross, Liverpool maintained their record of having yet to concede a goal in the Premier League in their opening trio of fixtures. In doing so, it means Alisson became only the fourth Reds goalkeeper in the last 51 seasons to have kept a clean sheet in each of the first three matches of a league campaign, joining Bruce Grobbelaar, Pepe Reina and Simon Mignolet (who did so twice). On the subject of our new goalkeeper, we’ve already seen that he’s completely comfortable with the ball at his feet and playing out from the back – a glorious first-half 40-yard pass to Trent Alexander-Arnold drew plenty of applause from the home crowd. But there was a moment in the second period that had Anfield vocalising its pleasure even more vociferously when Virgil van Dijk slightly under-hit his back pass and Knockaert sensed an opportunity to capitalise. However, Alisson was the coolest man inside the stadium when he raced from his line and deftly flicked the ball over the advancing Brighton forward before playing it back to Van Dijk, much to the delight of the home support. Still, that save from Gross was his finest moment of the day. As mentioned, the victory takes Liverpool to the summit of the Premier League table. The last time we were there was Saturday November 26, 2016 following a 2-0 win over Sunderland at Anfield. Yes, there is a long road still ahead with plenty of twists and tales to come, of that there is no doubt, but the Reds have made the best possible start.